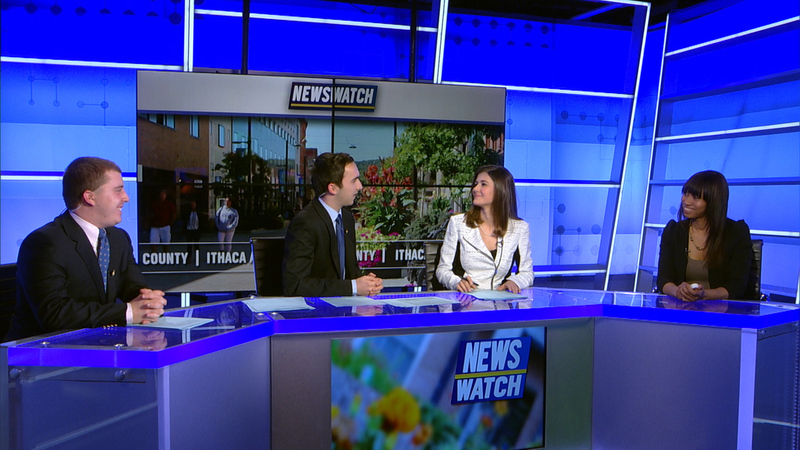 Tonight on Newswatch, we have an update on the shooting in Paris and local police continue their search for the trespasser near Ithaca College campus. All that plus weather and sports. 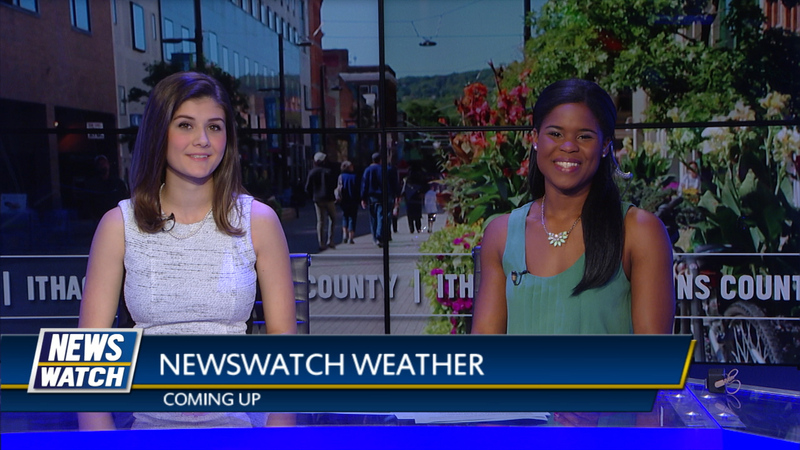 Tonight on Newswatch, we have information on the armed trespasser near Ithaca College. Plus Theresa May’s announcement about an early U.K. election. 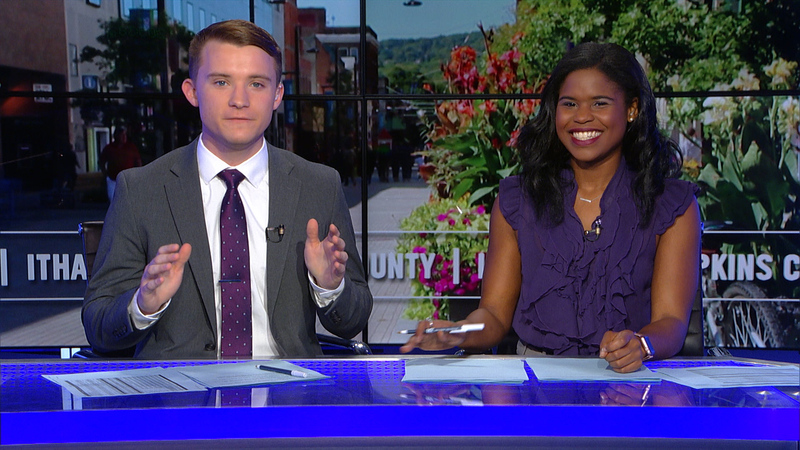 All that, plus weather and sports. 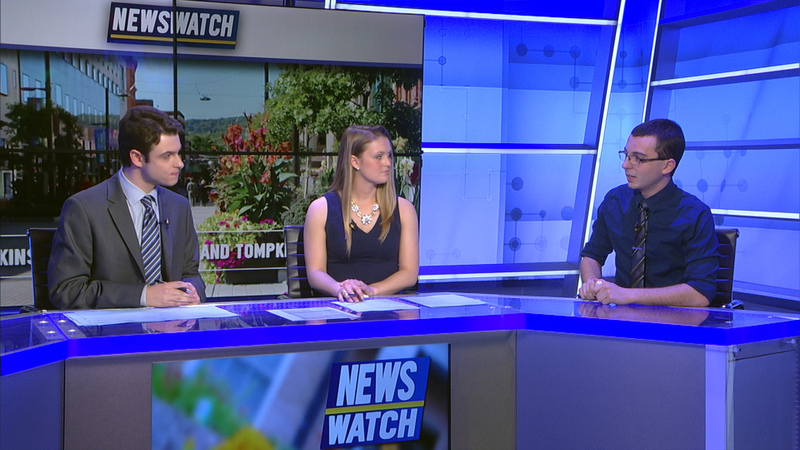 Have an update regarding the shooting in the Ithaca Commons last week, a local resident was robbed while walking home from church and we take a look in the re-opening of a local biking sharing program. 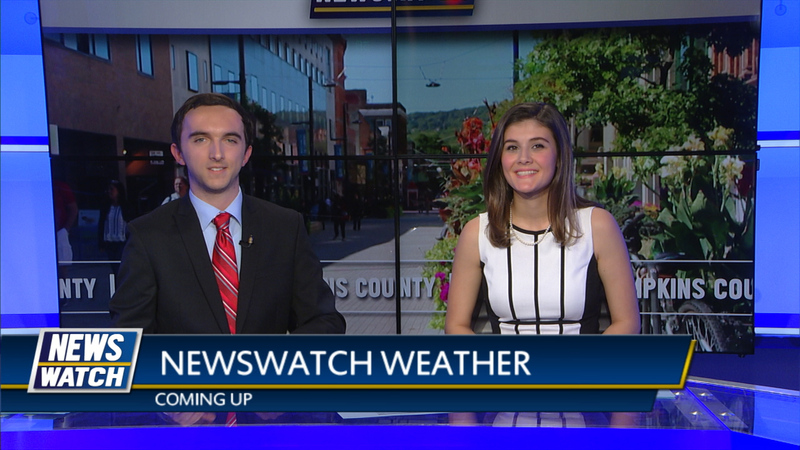 A Cornell student files a Title IX lawsuit over sexual misconduct, Ithaca college will implement the use of body cameras and the US drops the largest non-nuclear bomb used in a strike against isis. All that plus weather and sports. 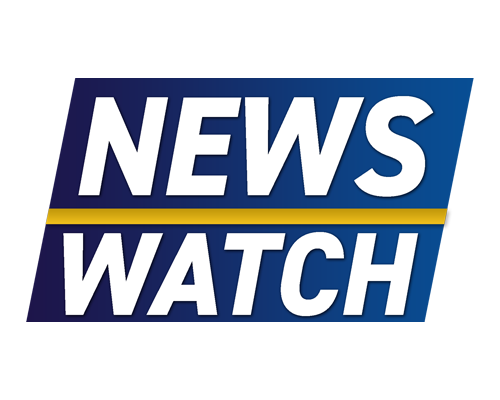 Tonight on Newswatch we have updates on the Commons shooting. Plus information on the San Bernardino elementary school shooting. All that plus weather and sports. 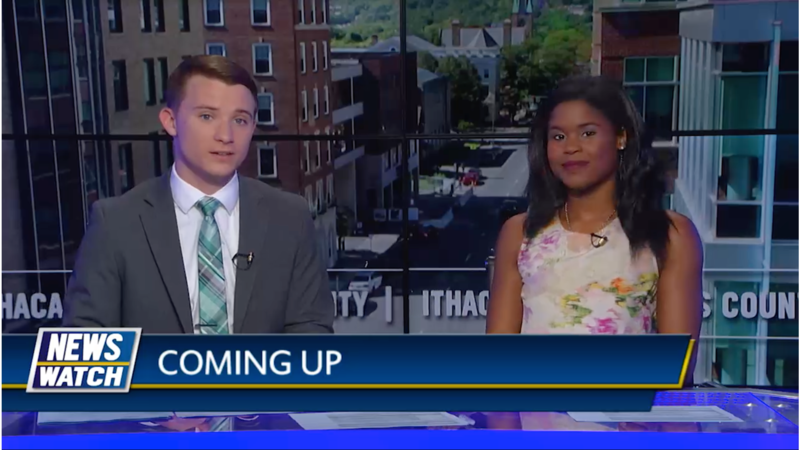 The latest updates on a shooting in the Ithaca Commons and two church bombings in Egypt, and we take a look at the bicentennial celebrations of Tompkins County and the Town of Groton. 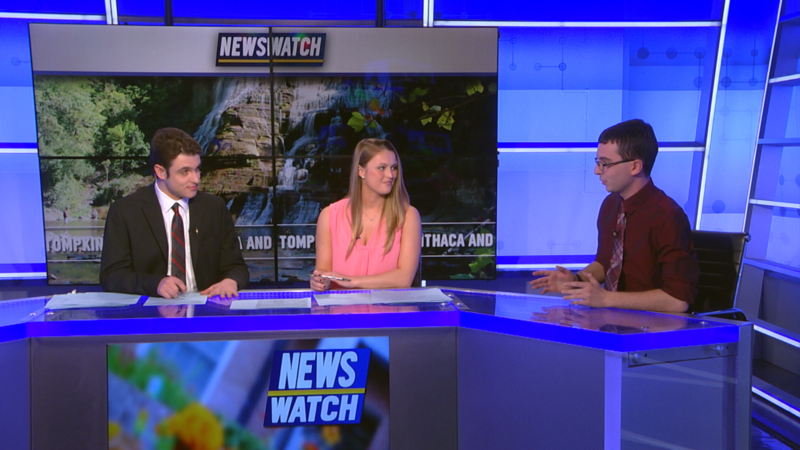 An attorney take a plea bargain for a crime he committed, an animal cpr class is held at Cornell and the senate breaks a filibuster for the Supreme Court nominee. All that plus weather and sports. 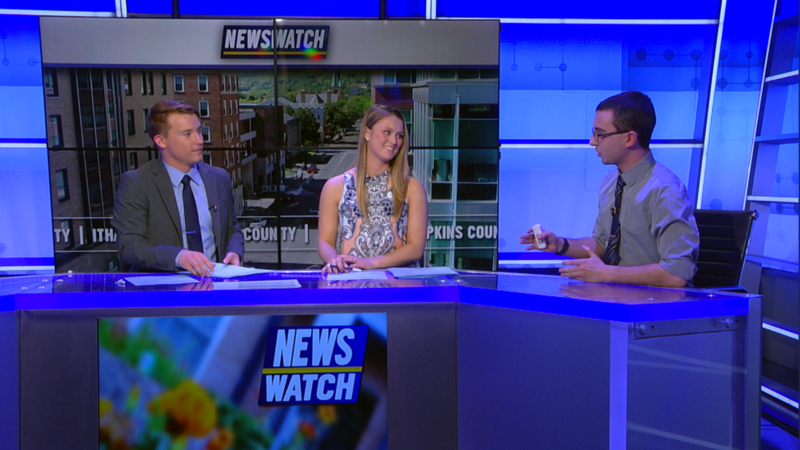 Tonight on Newswatch, an update on the stabbing in the Commons last weekend. Plus the NCAA removed its sanctions against North Carolina. All that plus weather and sports. 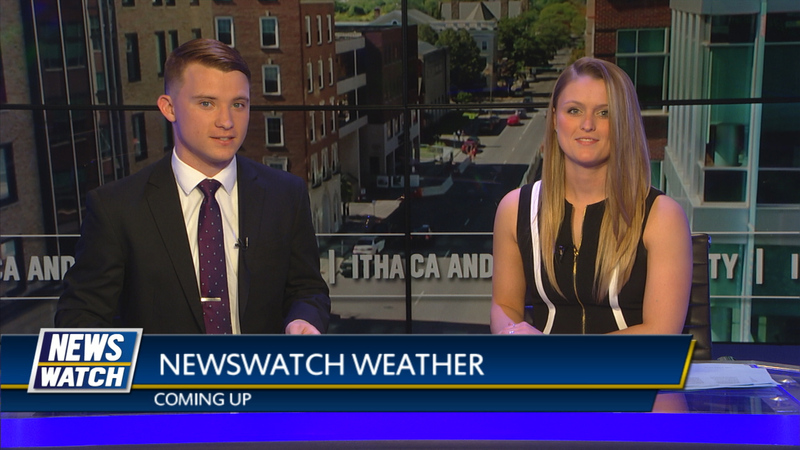 The Ithaca Farmers Market reopens for the season, lawmakers in Albany try to reach an agreement on the state budget, and a Senate committee prepares to vote on advancing Neil Gorsuch’s nomination. Cornell’s graduate students vote to unionize is deemed inconclusive, Texas Roadhouse holds a fundraiser for pediatric cancer and North Carolina votes to repeal its controversial bathroom bill. All that plus weather and sports.